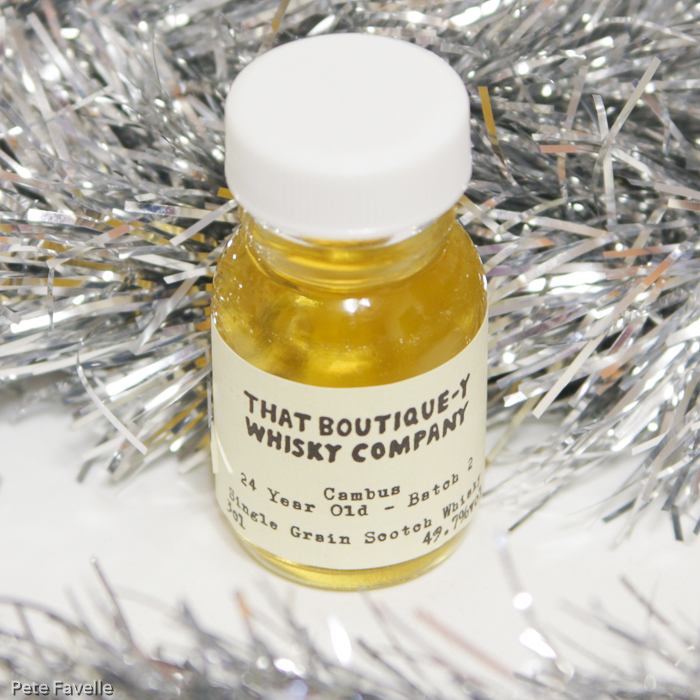 The Cambus distillery closed down in 1993, which means that this 24 year old represents some of the last spirit made there. As is often the way with grain whisky, most of their production ended up in blends but a few independent bottlers still manage to find casks to bottle for us! Cambus 24 Year Old Batch 2 is a pale golden, 49.7% ABV dram. The nose is like sticking your nose in a Sherbet Dib Dab, sweet and lemony and positively fizzing. Beneath that is something quite gin-like, juniper and orange peel with just a whiff of aniseed. Water knocks back those gin notes, with a little more fresh grain and some oak showing through but there’s still an air of aniseed about it. In the mouth it’s light and lemony, with some gentle oak notes and a building tannin. Over time, there’s a nuttiness that comes though too. Watered, it’s still full of lemons but with a slightly leafy, almost herbal character to it. Gently peppery, with richer satumas appearing too – the more I drink of it, the more I love it. I’m seriously impressed with this, and it’s heartbreaking to know that it’s from a distillery that is no longer with us. 4.5 stars, and please can I have some more!